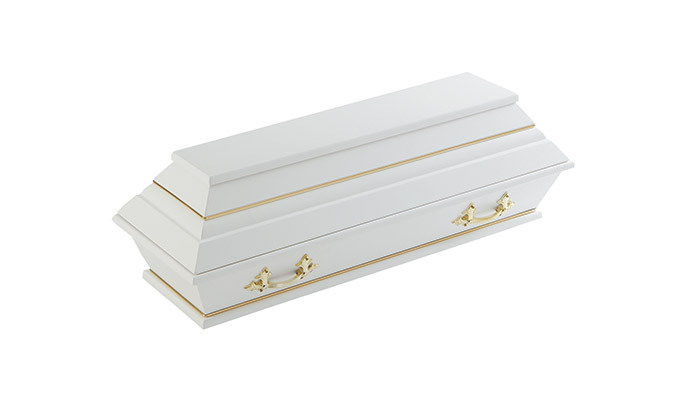 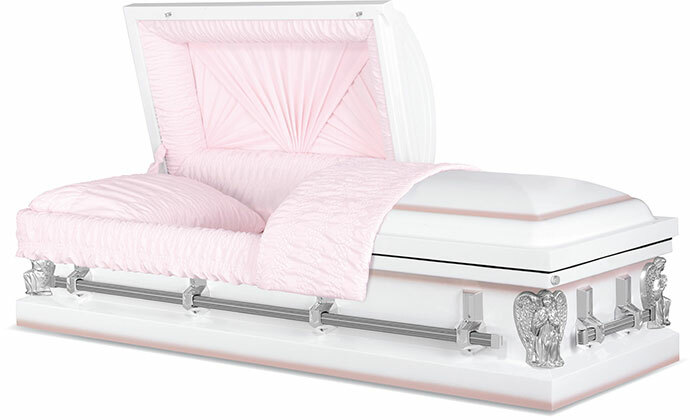 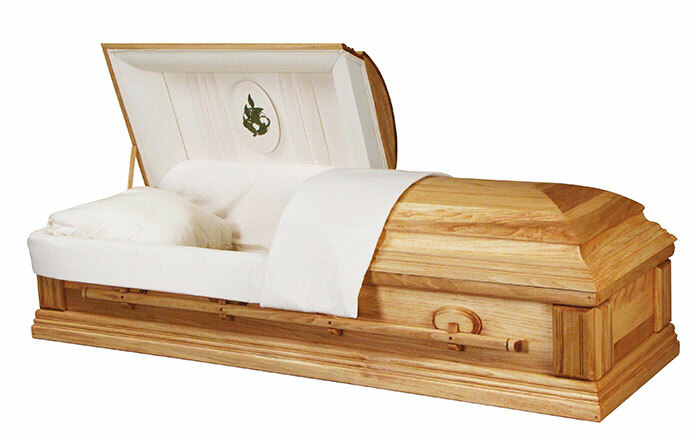 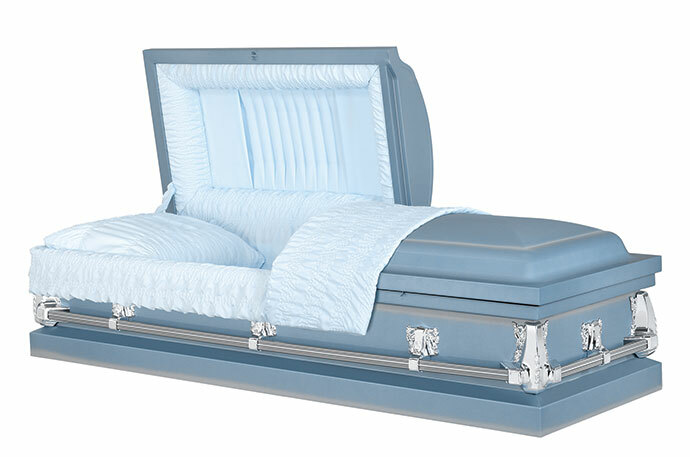 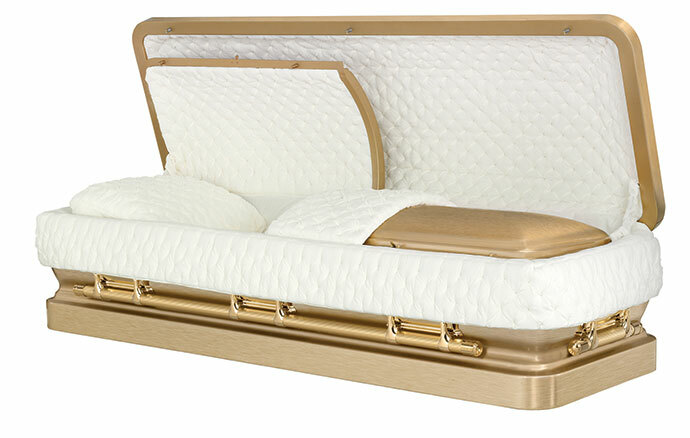 The Imperial range of caskets have some unique features. 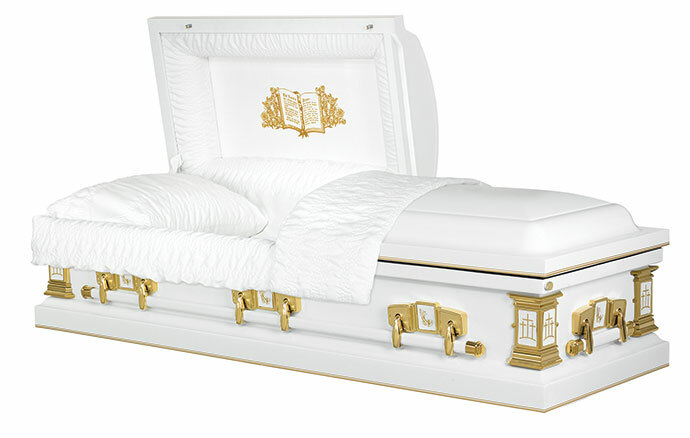 All are scaled-down compared to some large American style caskets - fitting over 90% of crematorium ovens in the UK. 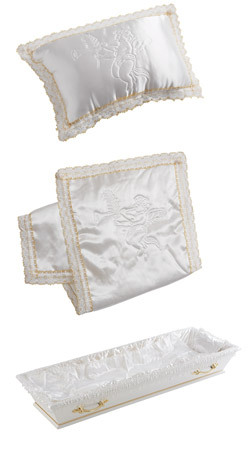 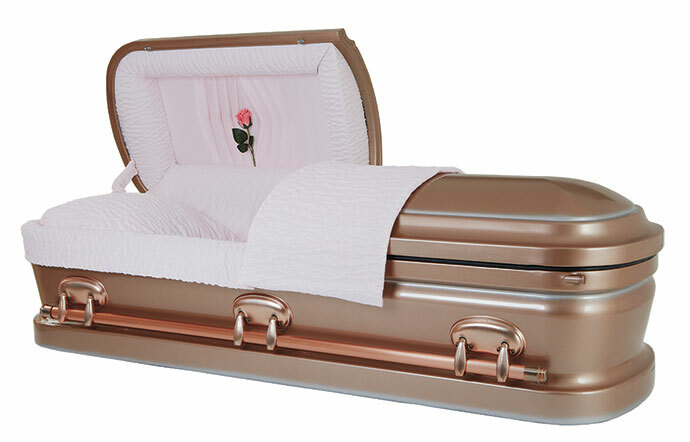 Can be cremated as well as buried, including the metal part of the handles that burn away by design. Each model has the option of becoming a 'Last Supper' by simply opting for a fitted picture. 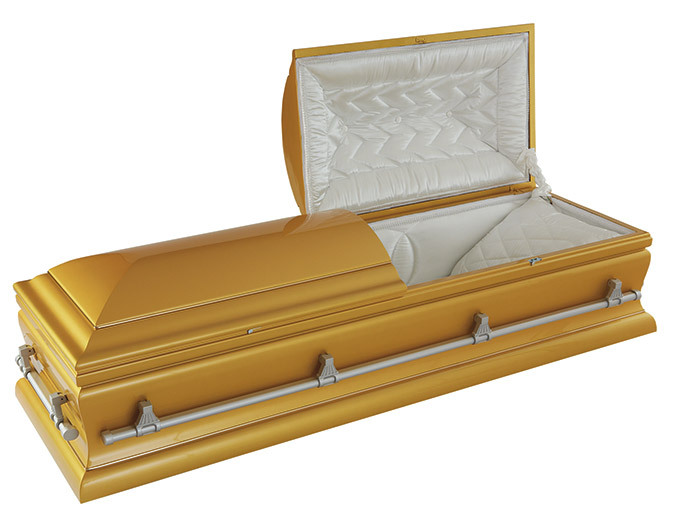 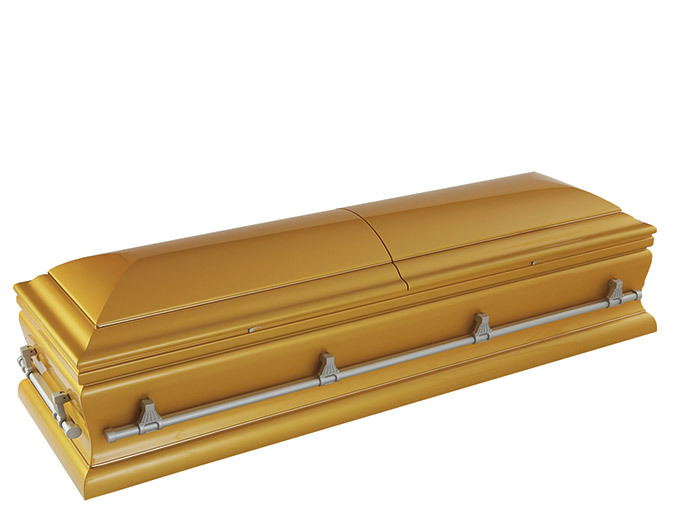 Solid poplar casket finished in gold metallic paint with split lid. Solid poplar casket finished in silver metallic paint with split lid. 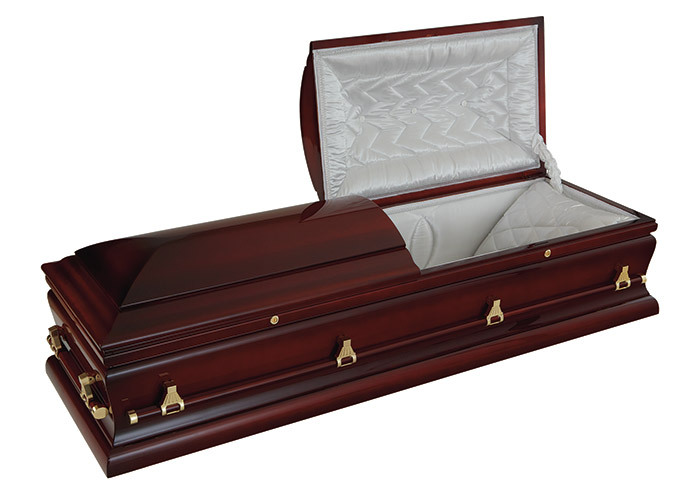 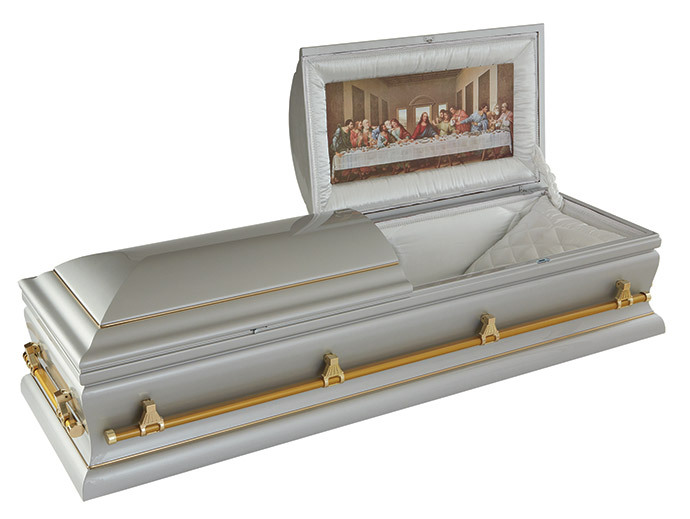 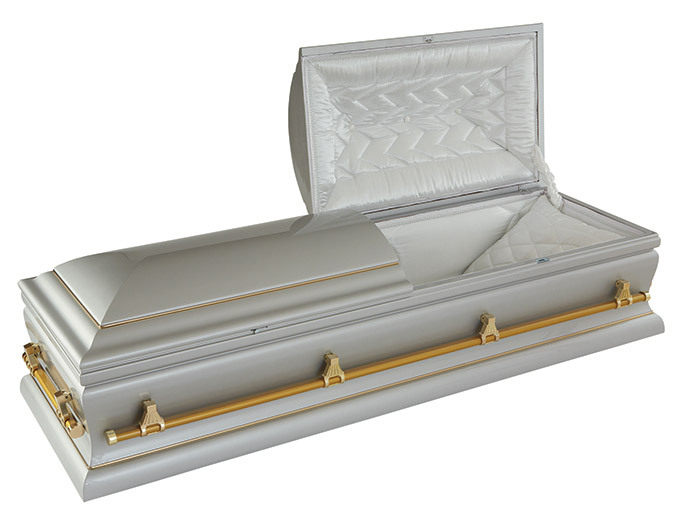 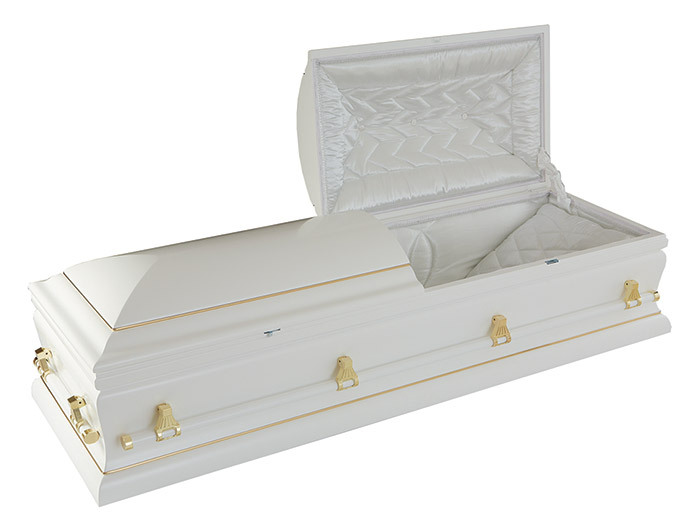 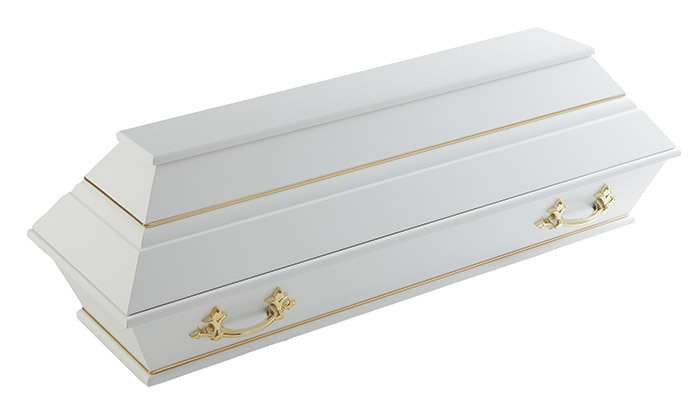 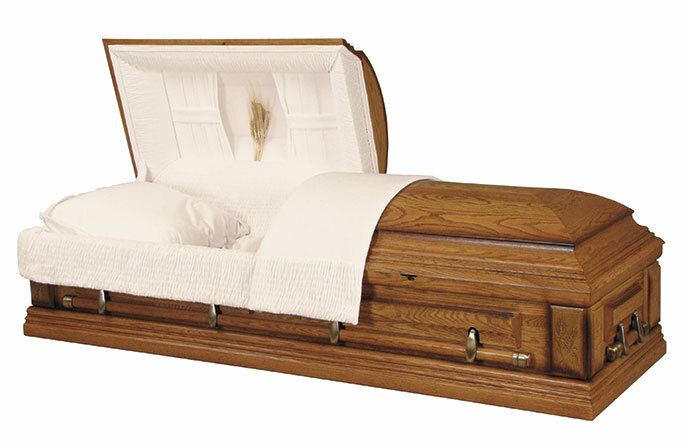 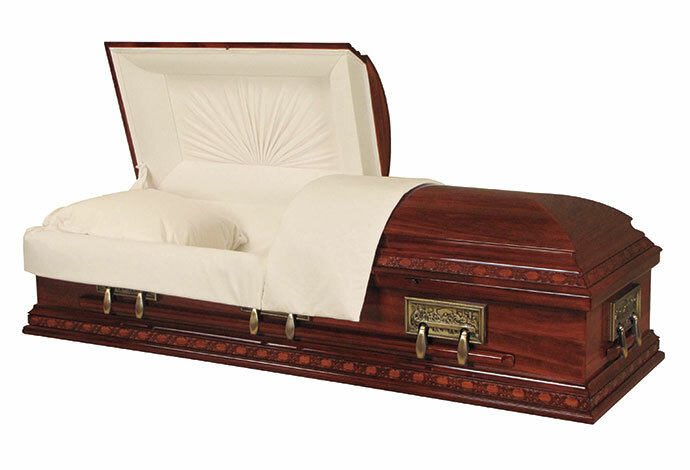 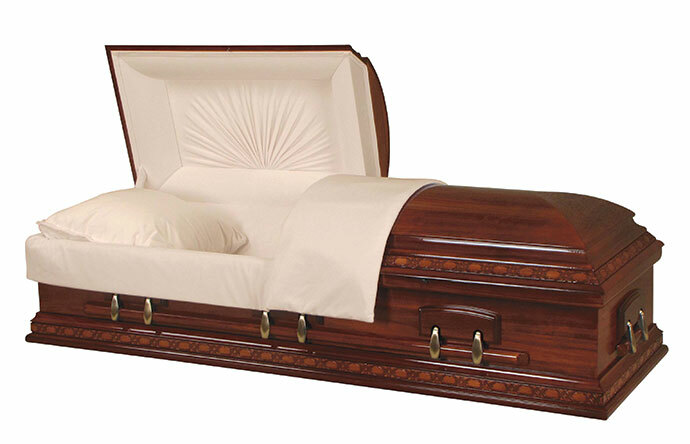 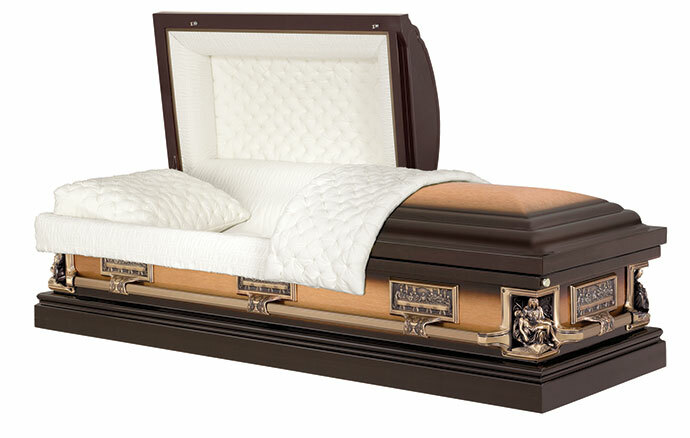 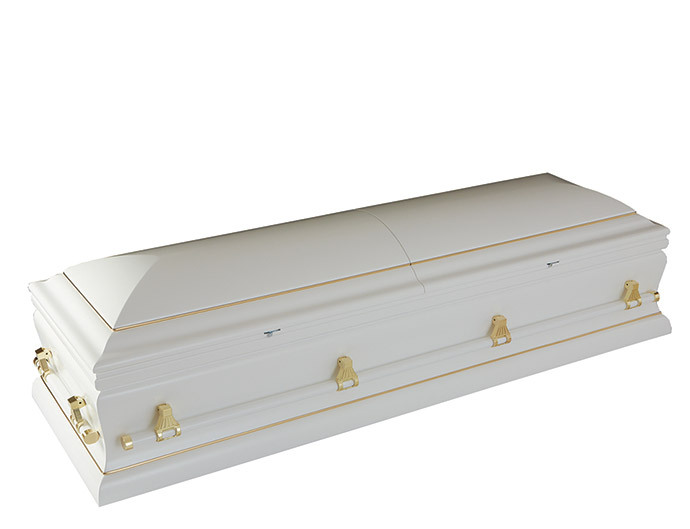 Imperial casket with mahogany finish and superior interior with split lid. 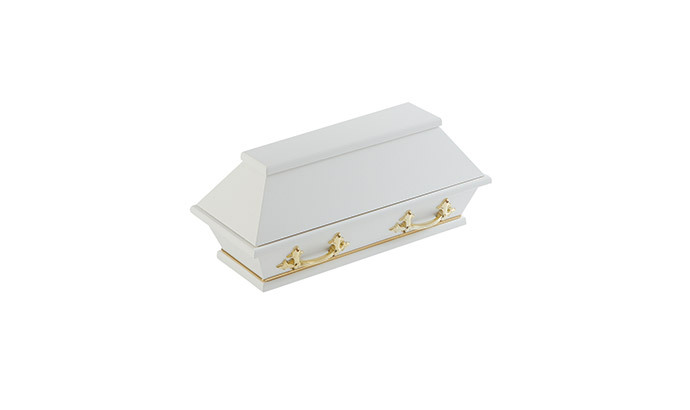 Original Imperial casket with split lid and white lining. 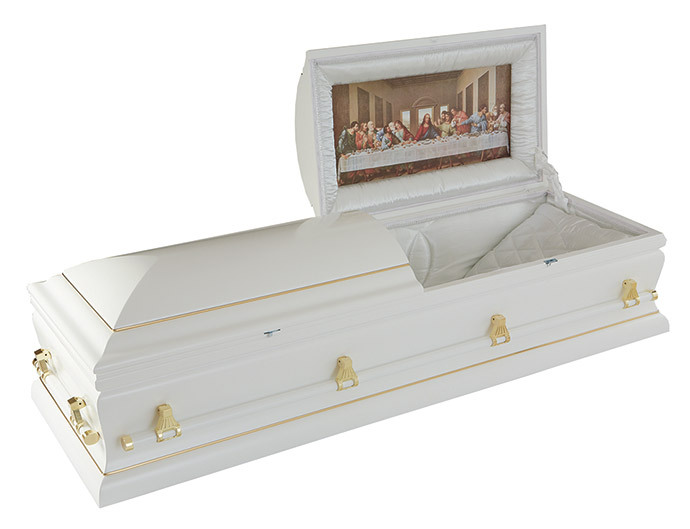 Natural Imperial casket with split lid. 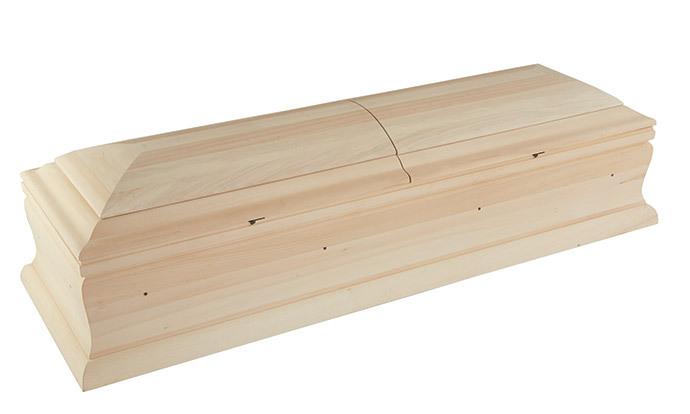 To be finished to your specification, includes matching wooden extended bar handles.